Marian Goodman Gallery is delighted to present a major new work by Shanghai-based artist Yang Fudong, which will be his first solo exhibition in the New York gallery. 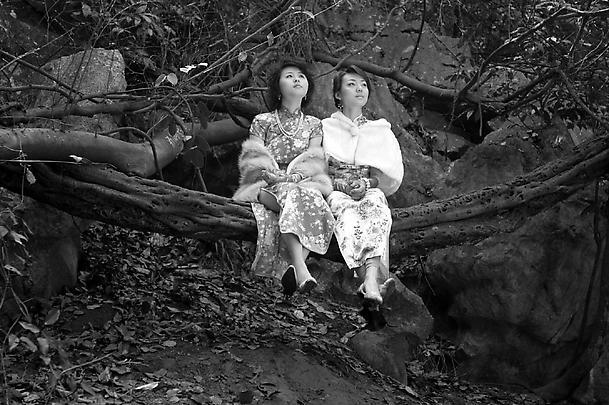 The presentation of No Snow on the Broken Bridge , 2006 (35 mm film, black & white, eleven minutes, music by Jing Wang) will be the U.S. premiere for this work, which was recently seen at Parasol Unit, London. 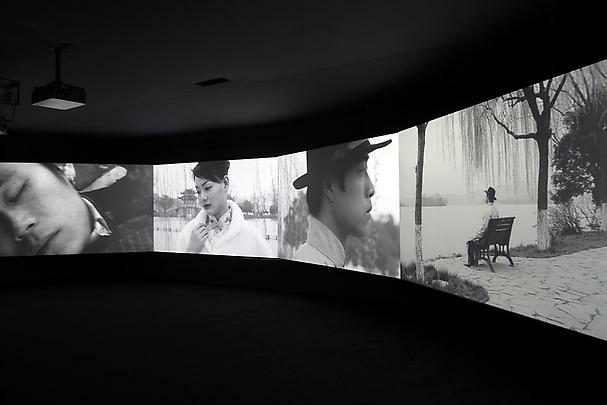 The installation will be shown on eight screens in the South Gallery. As No Snow on the Broken Bridge unfolds, Yang Fudong writes, "Four robed guests, four ladies in qi pao (mandarin dress), four young people in suits, and four girls dressed as boys gather at West Lake in early spring. As winter fades from them, they yearn to catch one last vestige of Broken Bridge: the memory of translucent, languid snow." Reviewing the work for its London presentation this spring/ summer, critic Adrian Searle wrote: "The exquisitely shot black & white film lasts 11 minutes, with different interconnected scenes playing at the same time. 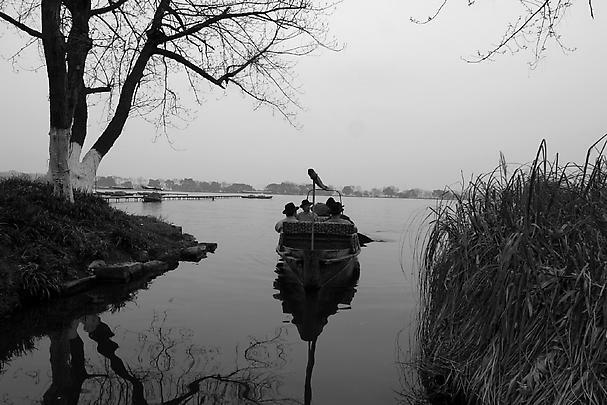 Sometimes an image flows across several screens at once – a boat crosses a lake, the white sky reflected in the black winter water, a play of mist, reeds and the dying stalks of water-lillies. The film takes place in a terrain of rocks, wood, esplanades by the lake, pavilions and ornamental bridges. It is a dream-like place, stricken by a curious, largely atmospheric inertia. One of the most important artists to emerge in contemporary China, Yang Fudong was born in Beijing in 1971 and trained first as a painter studying at The Academy of Fine Arts Hangzhou (1991-1995), a place known for its traditionally beautiful landscapes. In 1996 he took classes in the Department of Photography at the Fine Arts Academy and the Film Academy in Beijing. Developing a painterly approach to his lens-based photographic and film work, Yang began by depicting characters set against this familiar landscape until, after his move to Shanghai in 2002, he occasionally turned his focus to urban settings and to the polarity between city and country life. 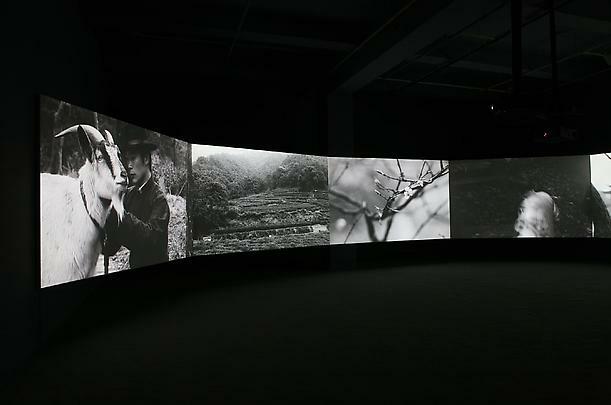 His films and installations are known for their atemporal and dreamlike quality, long, suspended sequences, dividing narratives, and multiple relationships and story lines. Much of his work has addressed the ideals and anxieties of a new generation -- a developing society still in the process of adjusting its consciousness to the material conditions of the times. His films often depict his characters as cognizant, or sometimes not, of the traditions, values, and weight of the past. Recent exhibitions of Yang Fudong's work include a solo exhibition at Marian Goodman Gallery, Paris; and one man shows at the Stedelijk Museum, Amsterdam; Castello di Rivoli, Torino; and Kunsthalle Wien, Vienna in 2005; Renaissance Society, Chicago in 2004; and The Moore Space, Miami in 2003. A selection of group exhibitions over the past five years include, in 2005: The Moscow Biennale, Russia; The Carnegie International, Carnegie Museum, Pittsburgh; Past I Reverse: Contemporary Art of East Asia , San Diego Museum of Art; Between Past & Future: New Photography and Video from China, Seattle Art Museum; in 2004: Do You Believe in Reality? , 2004 Taipei Biennial, Taipei, Taiwan; the Liverpool Biennial; Time Zones: Recent Film and Video, Tate Modern, London); in 2003: Happiness, A Survival Guide for Art and Life, Mori Art Museum, Tokyo; Outlook , Athens, Greece; Chinese Pavilion and Utopia Station , 50th Biennale di Venezia, Venice; Alors La Chine, Centre Pompidou, Paris; in 2002: Urban Creation, 4th Shanghai Biennale, Shanghai Art Museum; Documenta 11, Kassel; and in 2001: The Yokohama Triennale, Yokohama, Japan; Istanbul Biennale, Istanbul, Turkey. 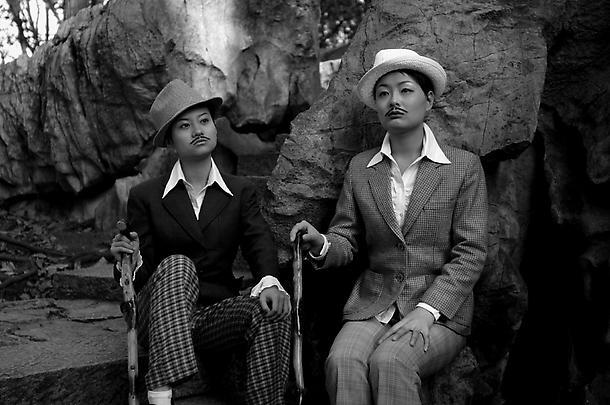 Yang Fudong's work will be included in the Asia-Pacific Triennale of Contemporary Art (2006), opening at Queensland Art Gallery, Brisbane on November 1st through January 1st, 2007.